AT THE MENTION OF THE FARM TO TABLE MOVEMENT, you might think of buying beets at the farmer’s market, buying Flathead cherries from a roadside stand or dining on Montana-raised lamb at your favorite restaurant. But broaden your horizons a bit and let this sink in: The next time you hit the pub, ask for a shot of Montana whiskey. The array of choices just might surprise you. Microbreweries dot the state. A micro-distilled, local whiskey seems like a natural fit for Montana, but until recently one didn’t exist. 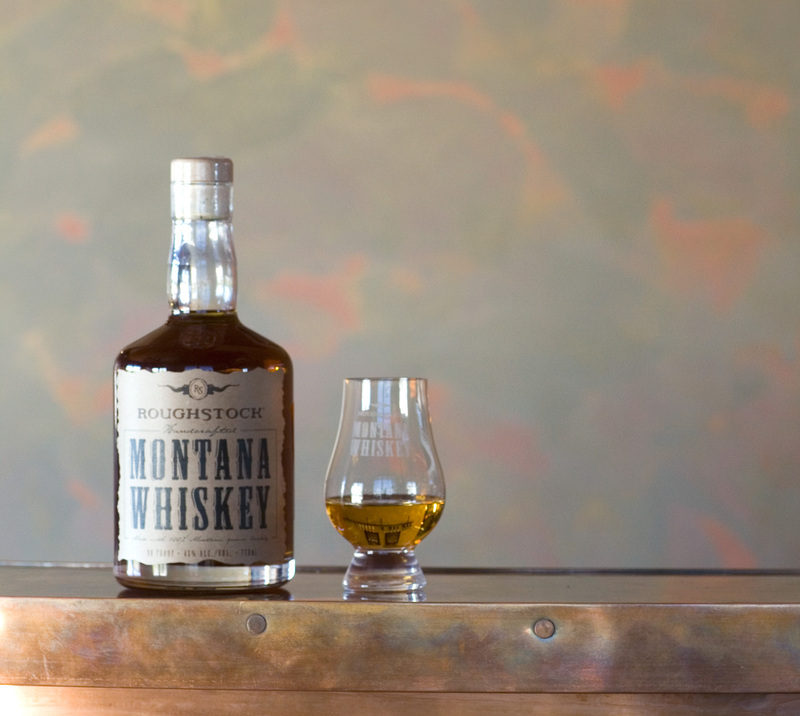 In 2009, RoughStock Distillery in Bozeman became the first legal distillery in Montana since Prohibition and the first distillery to open its doors in the state in more than 100 years. A 2005 shift in Montana state legislation changed the Prohibition-era liquor laws to allow micro-distilleries to produce small batches of alcohol for limited distribution. Half a dozen other distilleries have quickly followed suit. RoughStock distillers hand make what they call the “First Best Whiskey in the Last Best Place.” It’s an unfiltered American single malt whiskey that reflects the mountains and rivers that give it its flavor. Owners Bryan and Kari Schultz are fourth-generation Montanans. They started to open a microbrewery about six years ago, even buying brewing equipment. But they quickly realized that there was a lot of competition for beer in Montana — and a lot of great microbrews — and started thinking about a way to set themselves apart. 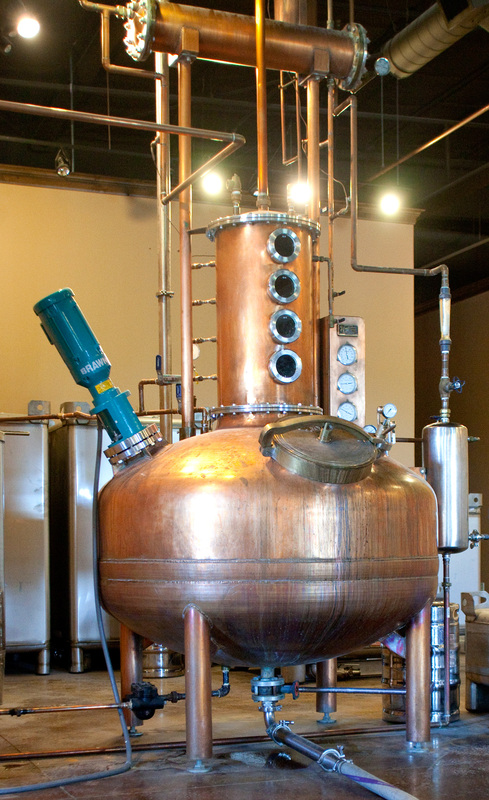 The Schultzes sold their brewing equipment and bought distilling gear, including a handmade, solid copper pot still. Aesthetically, the copper still is the focal point of the small distillery. Functionally, it absorbs sulfur from the drink. Bryan does the distilling and Kari tends the business and networking end of the company. 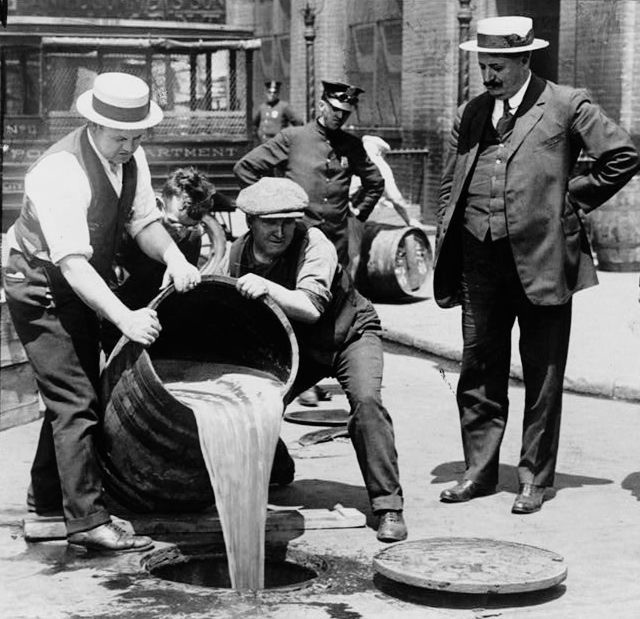 Since they had never made whiskey before, Bryan found he was doing a lot of experimenting. “The scientific world hasn’t broken down the finite details of what comes out of a barrel. There’s a lot of playing around and experimenting,” Bryan said. 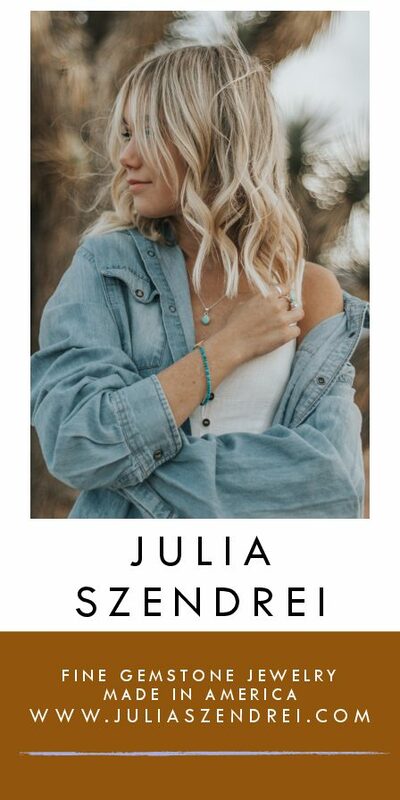 “You can read everything you want, but until you do it, it is impossible to learn how to make whiskey.”Fortunately for the Schultzes, they found the distilling world to be open and accommodating. They talked to large distillers in Kentucky who guided them in the right direction. Since the local environment where the ingredients come from largely determines the taste of the whiskey, the ingredients are as important as the process. The secret to making a good American whiskey is to start with quality ingredients, to mix, mash and ferment it just right, and age it the perfect amount of time in new oak barrels. The insides of the barrels are charred and act like tea bags, steeping just the right amount of caramelized sugar, oils and tannins into the whiskey. 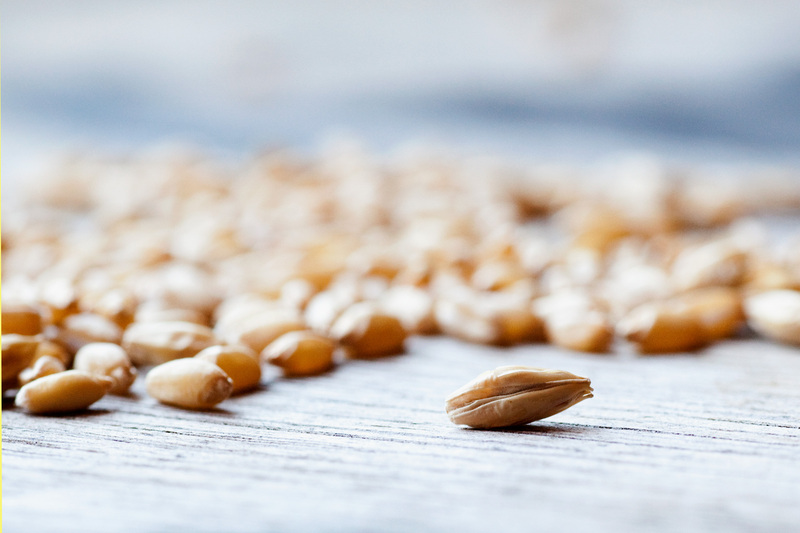 RoughStock’s secret to making a great Montana whiskey is: local barley grown on farms in the Golden Triangle and water from the Gallatin Mountains. They played around with the recipe and the distilling process then invited friends to fill charred oak barrels full of the clear liquid, which will turn an amber hue as it ages. The Schultzes chose their grain and tried out several kinds of yeast before settling on one that worked best. When they found the right yeast, they wanted to keep it happy so they filter their water to rid it of heavy metals that could kill it, and ensure that the water has the right mineral content to encourage proper yeast growth. The environmental factors in the mountains make a big difference in the taste of RoughStock Montana Whiskey. Whiskey ages quicker with the swings in barometric pressure found at higher altitudes. The Schultzes found they can’t leave it in the barrels for too long or the flavor becomes homogenous. Still, a 5-gallon barrel needs to age about six months, a 53-gallon barrel can take at least two years. 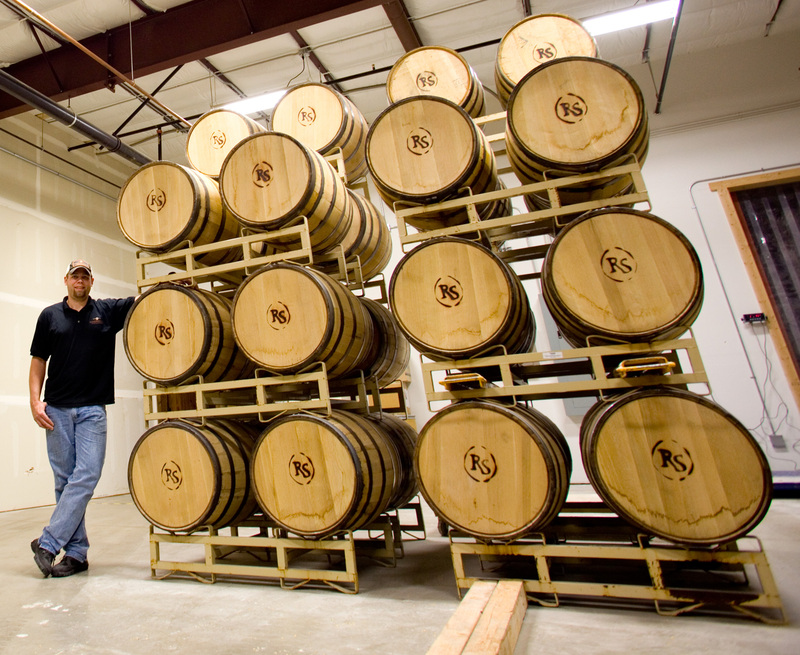 “It was hard to make a profit early on because it has to be in the barrel so long,” Bryan said. When Bryan determines the whiskey is properly aged for the flavor profile he wants, the Schultzes invite groups of friends or interested parties to join them in the bottling process. Each bottle is labeled with the batch number, bottle number, bottling date, aging time and the name of the person who bottled it. With the recipe and distilling process figured out and some of the whiskey properly aged, RoughStock is starting to win awards. They recently won a silver medal for the “Black Label” cask strength single malt at the American Distilling Institute spirits competition in Kentucky. That recognition and perseverance has begun to pay off. RoughStock is now available in bars and state liquor stores. In Bozeman, the swanky Main Street bar Plonk serves up the strong stuff. Drinking handmade, small batch whiskey is an art. Before sipping, sniff the aroma. The Schultzes recommend putting your nose in the glass and breathing through your mouth. This cuts the alcohol punch. Then pour a little on your tongue and let it roll around. Don’t throw it against the back of your throat like a shot of cheap booze. Slowly swallow and picture yourself horseback in the mountains. RoughStock whiskey’s deep amber color comes from caramelized sugar inside the charred oak barrels. It tastes of Montana-grown barley with a caramel-vanilla finish. Hints of apple and pear accompany the smooth flavors. It tastes like Montana. Made anywhere else, it wouldn’t taste the same. SINCE THE 2005 MONTANA LEGISLATURE loosened restrictions on alcohol distilling laws set during Prohibition, numerous distilleries have popped up around the state. 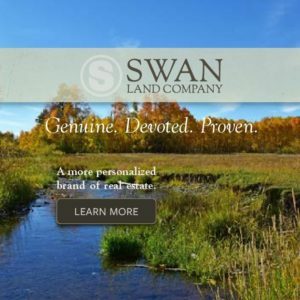 It’s a trend that has sparked new businesses in many agricultural states, including Kansas, Washington and closer to home, our three Northern Rockies states. A glass of RoguhStock Whiskey ready for tasting. Owner Bryan Schultz stands next to the barrels. The inside of the barrels are charred and act like tea bags, steeping just the right amount of caramelized sugar, oils and tannins into the whiskey. The copper distilling kettle ferments the perfect recipe.